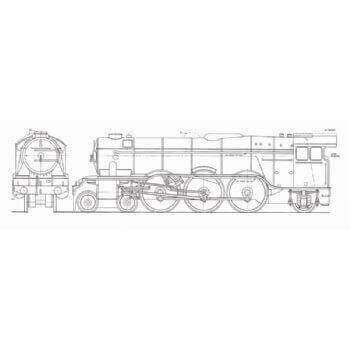 This 8-sheet plan by Martin Evans shows a 5" gauge model of a LMS Fowler Class 3F 0-6-0 'Jinty' locomotive. 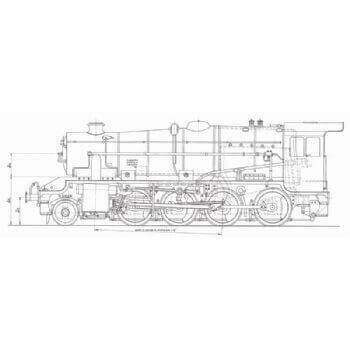 This 8-sheet plan by Martin Evans shows a 5″ gauge model of a LMS Fowler Class 3F 0-6-0 ‘Jinty’ locomotive. Sheet 1 General arrangement, frames buffer beams hornblocks. Sheet 2 Wheels, axles, cylinders, coupling rods, crankpins, crank axles and eccentrics. Sheet 3 Connecting rods, motion plates, crosshead brake parts. 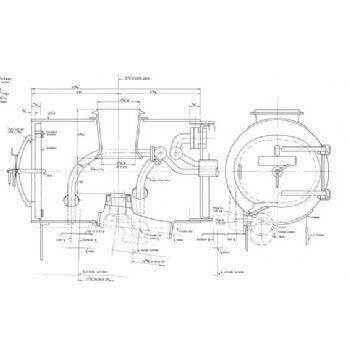 Sheet 4 Valve mechanism, reversing lever, eccentric rods and straps, crosshead pump. Sheet 5 Firebox and boiler. Sheet 6 Smokebox door, blast pipe exhaust pipes, headers, superheater, brake mechanism, steam chest draincock. 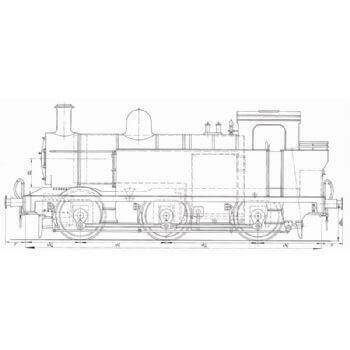 Sheet 7 Cab fittings layout, firedoor, smokebox saddle, regulator, whistle, injector blower and safety valves. Sheet 8 Steam dome, chimney cab, side tanks and running boards.